This residential real estate agent kept sending clients to Trulia and Zillow to browse listings, where they’d see ads for other realtors. Or he was signing them up for dated listing update emails that couldn’t even be viewed from a smartphone. He wanted a way to attract more home buyers online. He also wanted to deliver a better email listing experience for his clients. By including the ability to search for homes on his own website, he keeps his leads and current clients on his own website instead of sending them to resources that includes ads for other realtors, like Zillow. His residential real estate website lets visitors set up an online account, save their favorite listings and searches, and subscribe to automated emails for new listings matching their dream home. All without leaving his website! He keeps in touch without lifting a finger through automated email integration that ties directly into the MLS via the IDX integration we installed. 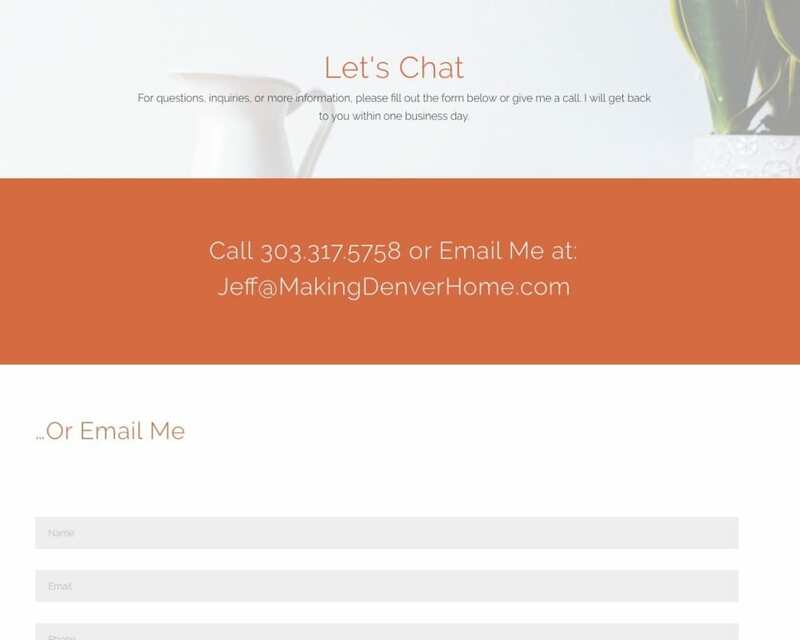 This Denver realtor keeps clients coming back to his website by providing search on the go. Clients don’t need to turn to Zillow when their realtor’s website provides mobile property searches. 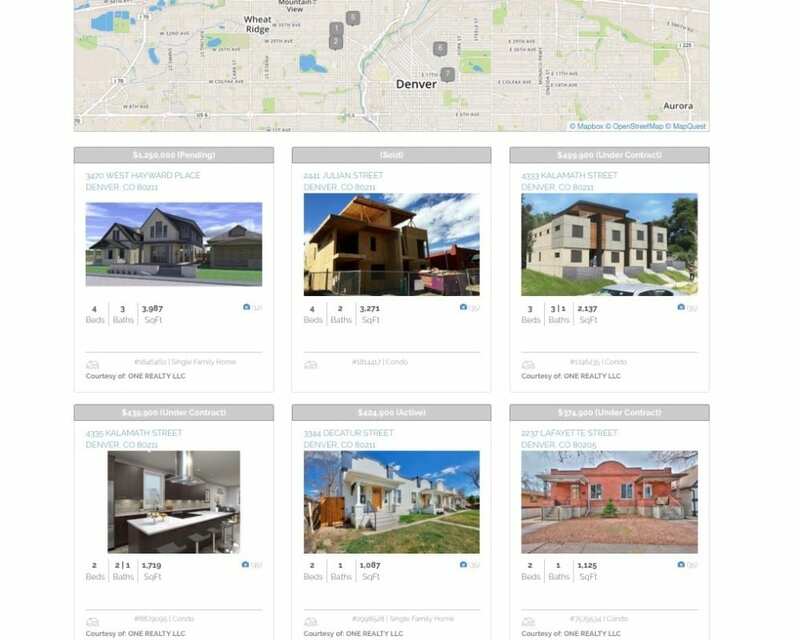 Property search and full IDX integration with a flexible and responsive design. Visitors can use an interactive map, detailed search, or select listings from the broker’s listings to guide their home search. Visitors can search for Colorado real estate listings right from the home page, just like they can with sites like RedFin and Trulia. From the search results they can sign up for an account and save searches to come back to later. You can see the searches that they saved to follow up with them! Potential home buyers get in touch via a contact form, custom home worth calculator, new property updates email opt-in, and request info buttons on property listings. Turn your site traffic into a lead pipeline with these lead capture features.